Organic farming is becoming increasingly popular. In an effort to support farm practices reducing and eliminating the use of chemicals, Speare Seeds is proud to be certified as an Organic Seed Processor by the Centre for System Integration, a division of the Canadian Seed Institute. Since all our organic forage pasture and hay seeds are subject to the Seeds Act and Regulations, we can guarantee top quality organic seed, some that are grown right here in Ontario. After all, the choices we make today, affect tomorrow’s generations. Once established, alfalfa has a large, strong tap root that can aid in compaction, decrease erosion and improve soil health through nitrogen fixing abilities. As a forage legume, alfalfa also produces excellent feed as pasture, dry hay and haylage. Timothy is primarily used as a perennial forage grass for hay and pasture because of its compatibility with alfalfas, trefoils and clovers. It is easy to establish and is persistent on land with variable drainage and a wide variety of soil PH conditions. As a short-lived perennial legume, clover is a popular cover crop for soil improvement. When used as a plowdown, red clover will contribute excellent soil tilth as green manure and provide substantial nitrogen for the following crop rotation. Clover can be used in forage blends for hay and haylage and will tolerate more wet and acidic soils than alfalfas. Single Cut Red Clover is a short-lived, later maturing bi-annual legume that has a high nitrogen fixing potential as it produces a large root system that is beneficial for soil conditioning, adding nitrogen, tilth, and aids in drainage. It is often mixed with Double Cut Red Clover when used as a plowdown to utilize both beneficial aspects of these varieties. Alsike Clover is a winter hardy species of clover that is especially well adapted to cool climates and wet soil conditions. It is also persistent on soils that may be too acidic for red clovers and can tolerate more alkalinity than some other forage species. Warning: Alsike Clover should not be used in Horse Hay or Horse Pasture Mixtures. Yellow Blossom Sweet Clover is a deep-rooted biennial legume that is very quick to establish making it an excellent plowdown clover. The deep root system offers great nitrogen fixing abilities and the addition of organic matter. It is also an excellent source of nectar and pollen for bees. Warning: Caution and proper management should be used if using Yellow Blossom Sweet Clover for pasturing or using it in hay blends. White Clover is a persistent shorter growing clover that is commonly used in long term pasture blends and is adapted to intense low grazing. It is also utilized for ground cover for weed suppression and overseeding into thinning pastures to improve forage yields and quality. When used in forage, Perennial Ryegrasses are high in crude protein and offer good digestibility and palatability to supplement the grass component of haylage and pasture mixtures. Ryegrass is quick to establish and aids in weed suppression and soil erosion. It will produce higher yielding growth on soils with adequate drainage to prevent winter kill. Orchardgrass possesses more rapid re-growth than most grasses and has good drought tolerance. With maturity, Orchardgrass will lose palatability and digestibility more quickly so proper management with hay and pasture applications is required. Later maturing varieties will have better palatability with higher protein levels following re-growth. A quick growing, high quality forage that thrives during the heat of summer. Protein and digestibility begin to decline with lengthy harvest delays so proper management is necessary. Sorghum Sudangrass is best used ensiled as baleage or put in silos. Warning: Sorghum may be subject to high Prussic Acid levels following frost, drought or stress. All spring grains benefit from early seeding so that they can take advantage of cool, moist conditions that promote ample tillering and large heads. Try to plant by April 10th in South Western Ontario, by April 15th for Central and Eastern Ontario and by May 10th for Northern Ontario. Delay in planting dates in the respective areas will affect yields downward. Oats are a traditional feed crop in Ontario, especially for horses. They have better balanced protein and a higher fibre content than barley. Oats are a better choice than barley as a nurse crop for underseeding. Forage peas in a mixture with cereals makes for an ideal cover crop for overseeding forage stands or are commonly used with oats as a nurse crop for alfalfa. Peas also add nitrogen and tilth as a post-harvest green manure. Fall Rye can be utilized as a cover crop for wind erosion, weed suppression and the addition of organic matter. If planted early enough in August, Fall Rye can also be available for fall forage and a source of feed for the spring. Winter hardy and high yielding, with better longevity than ryegrasses. Best adapted to regions that experience periods of cool temperatures and humidity during the year. Due to its deep and robust root system, it can tolerate a wide range of climatic stresses after establishment including heat, drought and cold. Meadow fescue performs well on varying soil conditions and is high yielding with excellent digestibility. Deep rooted persistent grass for variable soils. Note: Only certified forage type varieties should be used for forage applications to ensure they are ‘endophyte-free’ as endophyte fescues may cause problems for some ruminants and horses. Mostly grown for an oilseed grain, but can also be used in cover crop mixes or for forage. Different maturities are required in different areas based on the length of growing season. Inquire for availability. Cereal grown for grain production and straw. Has a hull covering the kernel that must be removed before processing. There are spring and winter spelt available, inquire for availability. The seed may be hulled or dehulled. An annual scrambling and climbing legume. It has a slender highly branched taproot that can go down to 1-1.5 m deep. Its stems are thin, angled, procumbent and branched. Common vetch also provides a valuable cover crop and green manure. 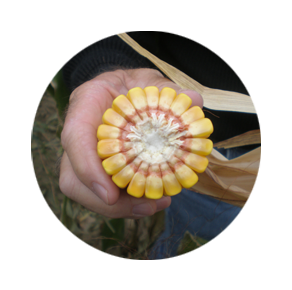 Speare Seeds also offers Organic Corn. 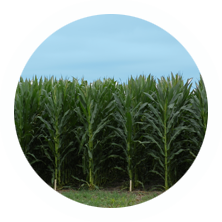 Please click here to see the varieties of Organic Corn that we offer. All Organic seed varieties are subject to availability. Organic farming refers to agricultural production systems used to produce food and fiber. Organic farming management relies on developing biological diversity in the field to disrupt habitat for pest organisms, and the purposeful maintenance and replenishment of soil fertility. Organic farmers are not allowed to use synthetic pesticides or fertilizers. All kinds of agricultural products are produced organically, including produce, grains, meat, dairy, eggs, fibers such as cotton, flowers, and processed food products. Some of the essential characteristics of organic systems include: design and implementation of an "organic system plan" that describes the practices used in producing crops and livestock products; a detailed record keeping system that tracks all products from the field to point of sale; and maintenance of buffer zones to prevent inadvertent contamination by synthetic farm chemicals from adjacent conventional fields. Certified organic refers to agricultural products that have been grown and processed according to uniform standards, verified by independent (state or) private organizations accredited by the Canadian Food Inspection Agency.. All products sold as "organic" must be certified. Certification includes annual submission of an organic system plan and inspection of farm fields and processing facilities. Inspectors verify that organic practices such as long-term soil management, buffering between organic farms and neighboring conventional farms, and record keeping are being followed. Processing inspections include review of the facility's cleaning and pest control methods, ingredient transportation and storage, and record keeping and audit control. Organic foods are minimally processed to maintain the integrity of food without artificial ingredients or preservatives. Certified organic requires the rejection of synthetic agrochemicals, irradiation and genetically engineered foods or ingredients. How do organic farmers fertilize crops and control pests, diseases, and weeds? Organic farmers build healthy soils by nourishing the living component of the soil, the microbial inhabitants that release, transform, and transfer nutrients. Soil organic matter contributes to good soil structure and water-holding capacity. Organic farmers feed soil biota and build soil structure and water-holding capacity. Organic farmers build soil organic matter with cover crops, compost, and biologically based soil amendments. These produce healthy plants that are better able to resist disease and insect predation. Organic farmers' primary strategy in controlling pests and diseases is prevention through good plant nutrition and management. Organic farmers use cover crops and sophisticated crop rotations to manage the field ecology, effectively disrupting habitat for weeds, insects, and disease organisms. Weeds are controlled through crop rotation, mechanical tillage, and hand-weeding, as well as through cover crops, mulches, flame weeding, and other management methods. Organic farmers rely on a diverse population of soil organisms, beneficial insects, and birds to keep pests in check. When pest populations get out of balance, growers implement a variety of strategies such as the use of insect predators, mating disruption, traps and barriers. Under the National Organic Program Rule, growers are required to use sanitation and cultural practices first before they can resort to applying a material to control a weed, pest or disease problem. Use of these materials in organic production is regulated, strictly monitored, and documented. As a last resort, certain botanical or other non-synthetic pesticides may be applied.